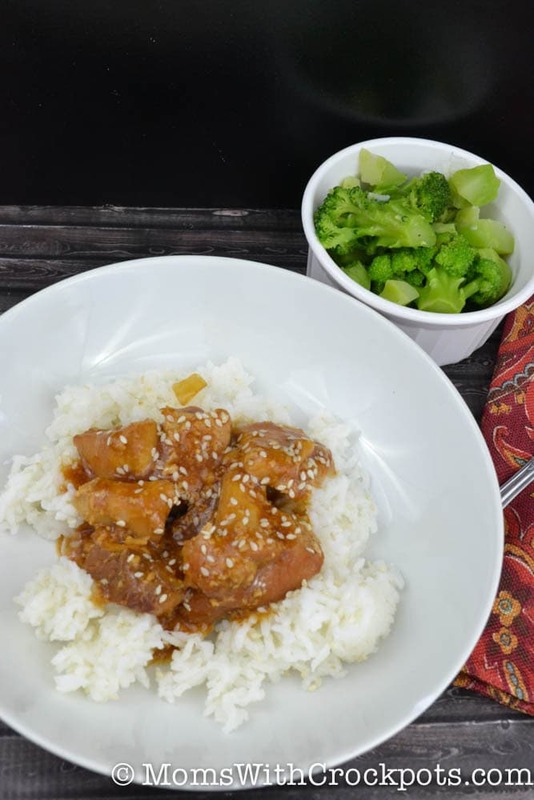 I am so excited to share this recipe for Crock Pot Honey Sesame Chicken with you! It turned out fabulous! Plus, you can prepare the ingredients for this in advance and place them in a gallon ziploc in the freezer. When you are ready, just dump it in the crock pot and go! I love meals like that. This recipe has a great sweet and savory contrast. My kids loved it! Which makes it a winner in my book! Plus you can use a gluten free soy sauce to make this dish gluten free and dairy free! 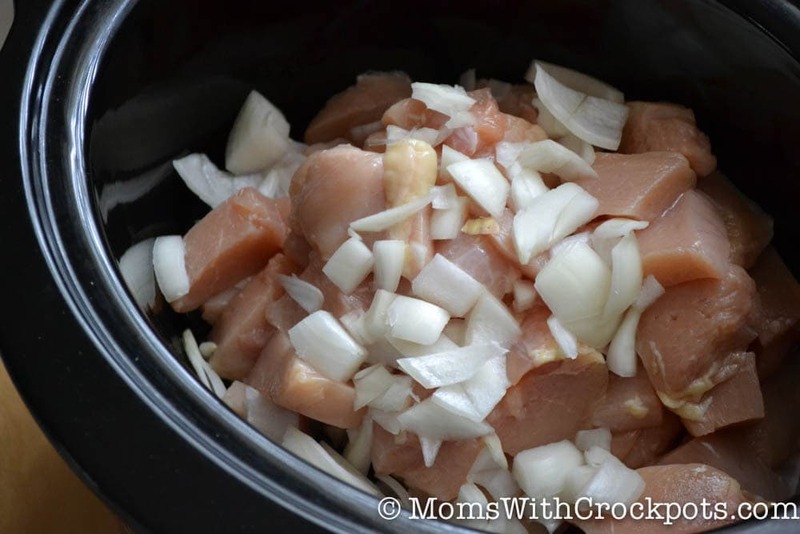 Just place cubed chicken and onions in the crockpot. Pour the sauce over the top, cover and cook. Once done remove the chicken, thicken the sauce with a little cornstarch, serve with rice and you are ready to enjoy dinner. Season both sides of chicken with lightly with salt and pepper, put into crock pot. In medium bowl, combine honey, soy sauce, onion, ketchup, oil, garlic and pepper flakes. Pour over chicken. Cook on low for 3-4 hours or on high 1 1/2 – 2 1/2 hours. Just until chicken is fully cooked. 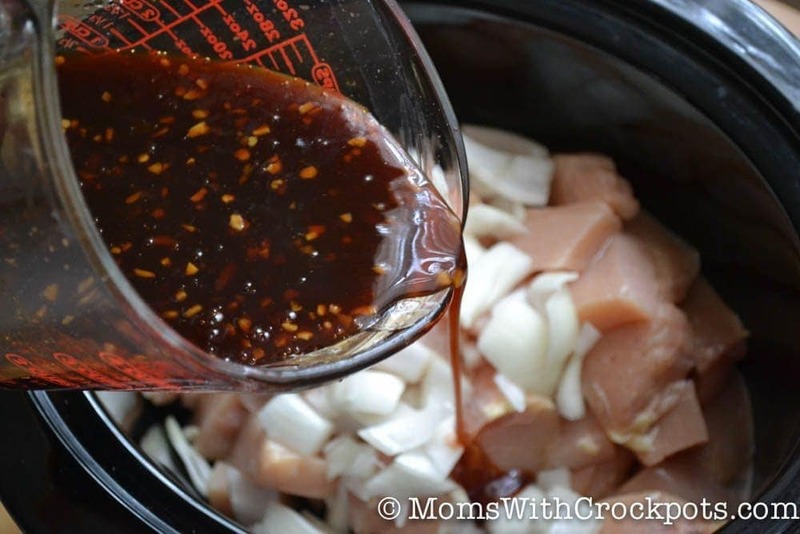 Remove chicken from crock pot and place in serving dish. Reserve the liquid from the crock pot and place it in a saucepan on the stove. Dissolve 4 teaspoons of cornstarch in 6 tablespoons of water and pour into the saucepan with the liquid from the crock pot. Heat over medium high heat until it thickens. Stirring while heating. Pour thickened sauce over the chicken and Sprinkle with sesame seeds.